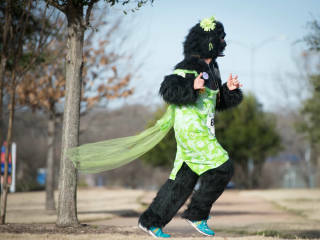 The 6th Annual Austin Gorilla Run is a charity fun run with a difference. Everyone who takes part wears a full gorilla or banana costume, included with entry fee and yours to keep. All participants are helping to raise funds for the Mountain Gorilla Conservation Fund, the international charity working to save the world's last remaining Mountain Gorillas and keeping Dian Fossey's dream alive for the past 31 years.